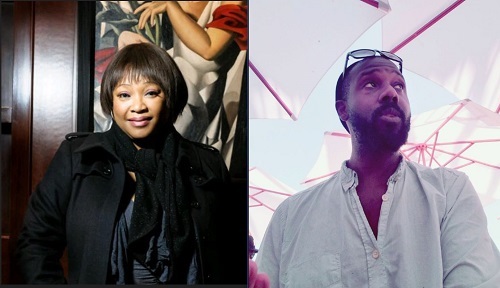 Over at Kirkus today, I talk with Ambassador Zindzi Mandela (quoted above and pictured left) and illustrator Sean Qualls, pictured right, about their new picture book, Grandad Mandela. Ambassador Mandela, the youngest child of President Nelson Mandela, wrote this book with her grandchildren, Zazi and Ziwelene Mandela (ages 8 and 6, respectively). Next week, I’ll follow up here at 7-Imp with some of Sean’s art from the book. Photo of Ambassador Mandela taken by Julio E. Torres.